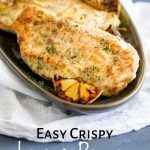 These Crispy Lemon Pepper Chicken Breasts are sure to be a hit if you are looking for an easy healthy dinner for the whole family. 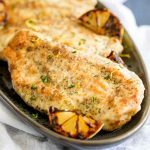 The recipe uses skinless boneless chicken breasts and a handful of pantry staples to create a simple yet fabulous meal. 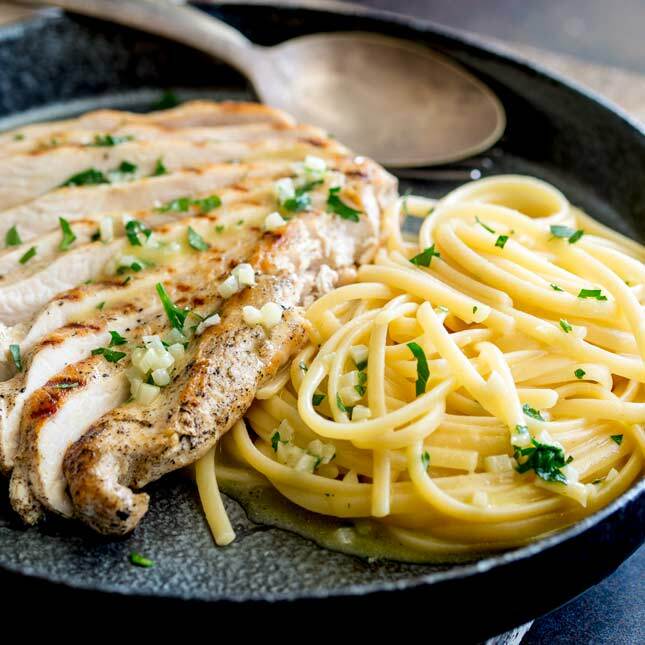 The chicken doesn’t need to sit for hours in a marinade and because this dish can be quickly pan fried, dinner is on the table in under 20 minutes. Homemade lemon pepper seasoning involves dried lemon peel, which takes time. 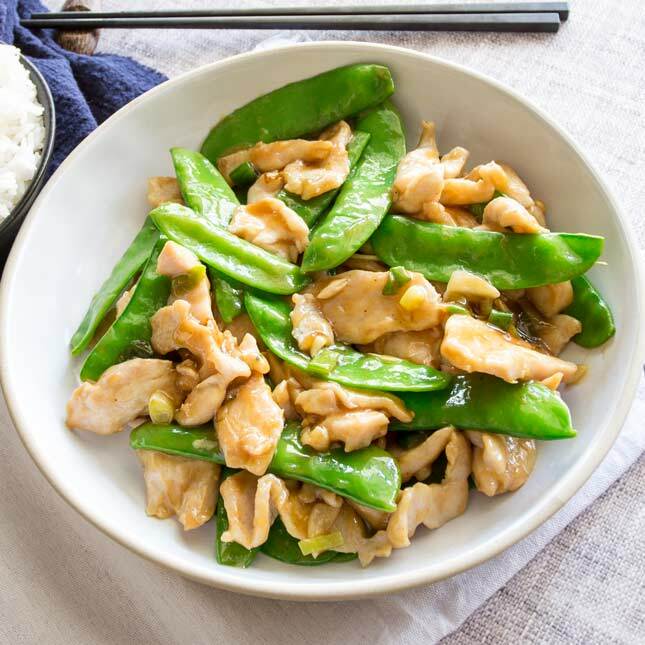 To get the same great lemon flavor many people will use lemon juice, but that can make the chicken sour. 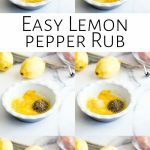 This lemon pepper seasoning rub adds the perfect balance of true lemon flavor and fiery pepper to your chicken without any sour notes. There is no salt in the list as I have found that works better to add the salt to the flour. The sugar is optional, I like to add it as it makes the seasoning rub taste far more like the McCormick Lemon & Pepper Seasoning or Masterfoods Lemon Pepper Seasoning that you can buy at the grocery store. And recreating those makes me happy as I know my kids will eat them! This recipe is great for midweek because the chicken doesn’t need to sit in a marinade all day. 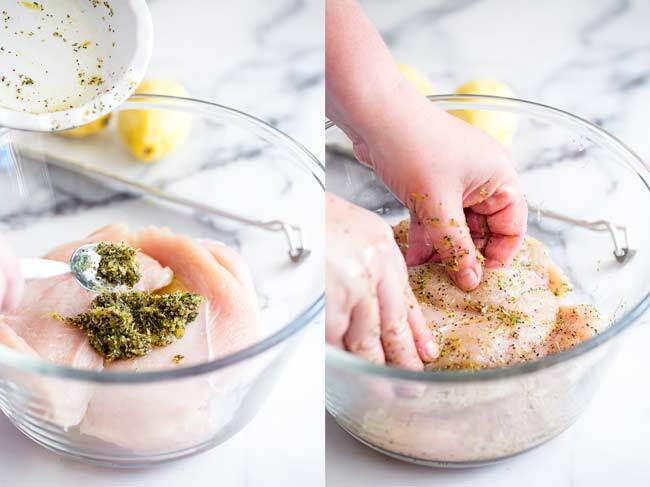 Once you have made the lemon pepper seasoning rub up, you add it to the chicken, massage it in and then you are ready to dust the fillets in flour and cook them straight away. The key to this is the lemon zest, it has an intense lemon flavor that permeates the chicken as it cooks. Really massage the rub into the chicken so the flavor sticks to the breast and starts to work into the flash. 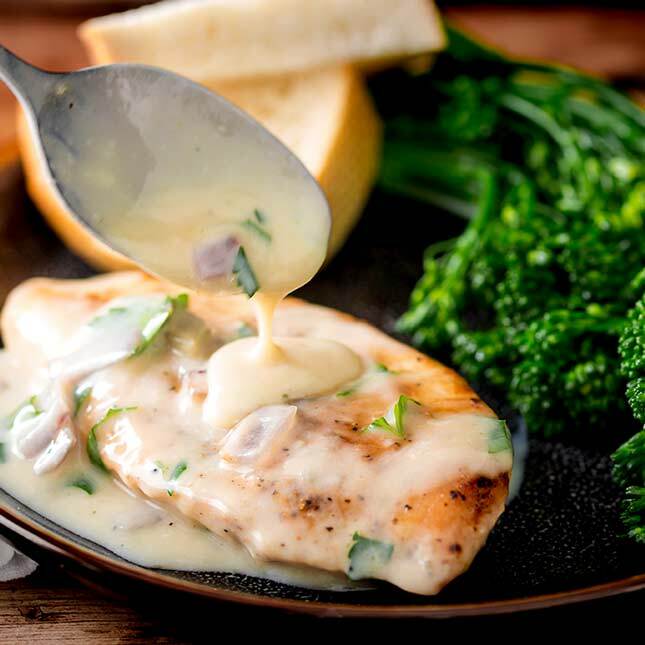 Because chicken breasts can be quick thick, this means the cooking time is longer and you risk drying out the chicken. To prevent this I like to cut each chicken breast into two fillets, this reduces the cooking time and means they stay nice and juicy whilst they cook. 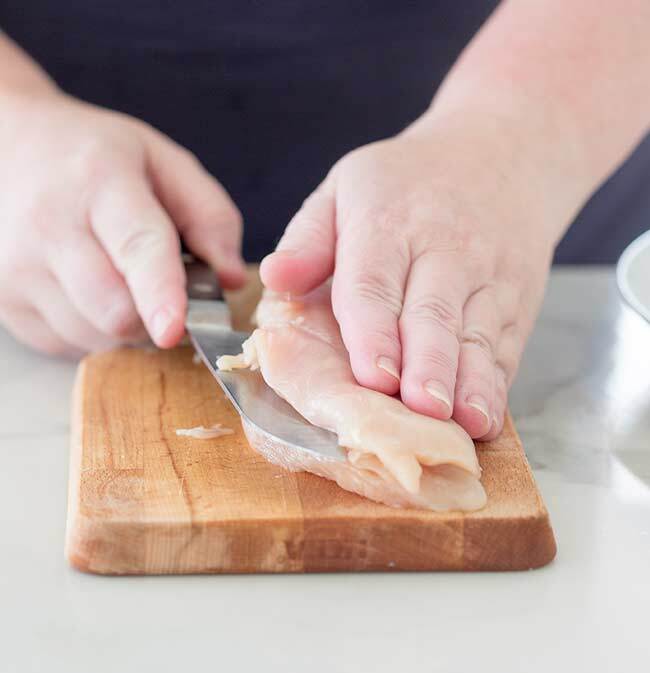 Lay your chicken breast flat on the board and using a large sharpe knife cut sideways through the breast. How to create a juicy flavored crispy chicken breast. To give you the wonderful crispy coating on the chicken, we are going to coat them lightly in flour. When the flour hits the hot oil it create a delicious crust on the chicken. 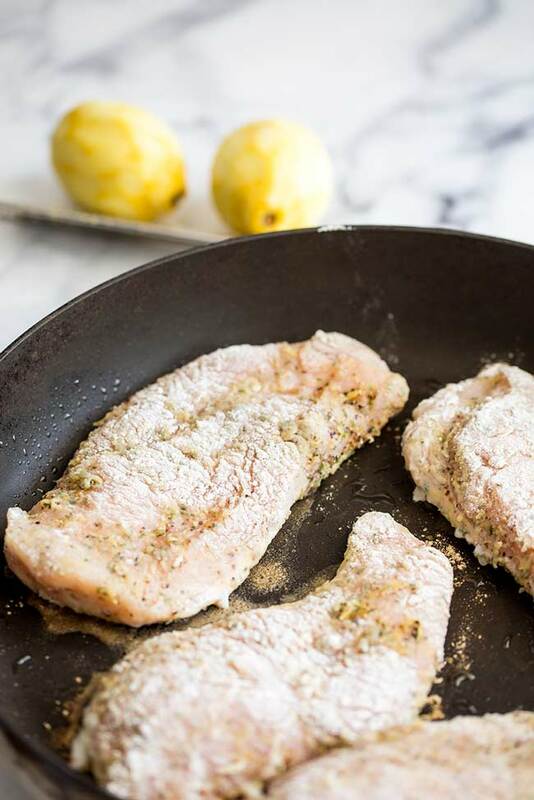 To make sure your chicken has lots of flavor as well as the lemon pepper rub, you want to add some salt to your flour. It seasons the crust and the chicken without drawing moisture from the chicken breast. Because we have cut the chicken into fillets the chicken is much thiner and will cook quickly and stay nice and juicy. 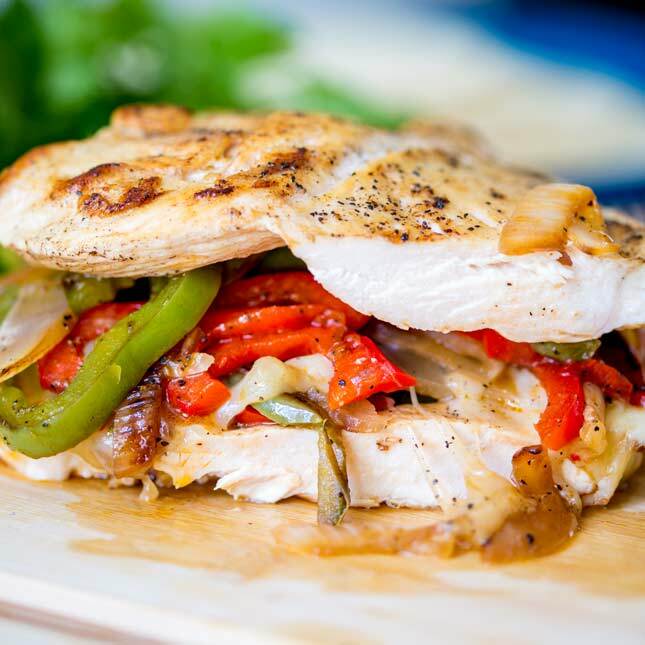 The chicken breasts need just 2-3 minutes on each side. Make sure your oil is shimmering hot before you add the chicken, this will create the wonderful crispy crust you can see in the photos. If the oil isn’t hot enough the flour will absorb the oil and the chicken will be greasy and without any crunch. 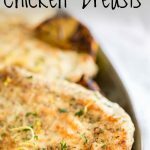 This chicken dinner is so packed with flavor and can be served along side so many different sides. 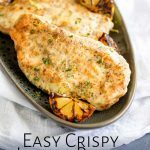 Why not pin this recipe for Easy Crispy Lemon Pepper Chicken Breasts. Pin it here. Zest the lemons into a small bowl, then add the olive oil, black pepper, dried parsley and sugar (if using). Mix together. Pour the lemon pepper mixture over the chicken and massage it into the chicken breasts. Place a large skillet/fry pan over a medium heat, add the oil and heat until it is starting to shimmer. Cook the chicken for 2-3 minutes on each side or until the internal temperature reaches 165ºF/73ºC. 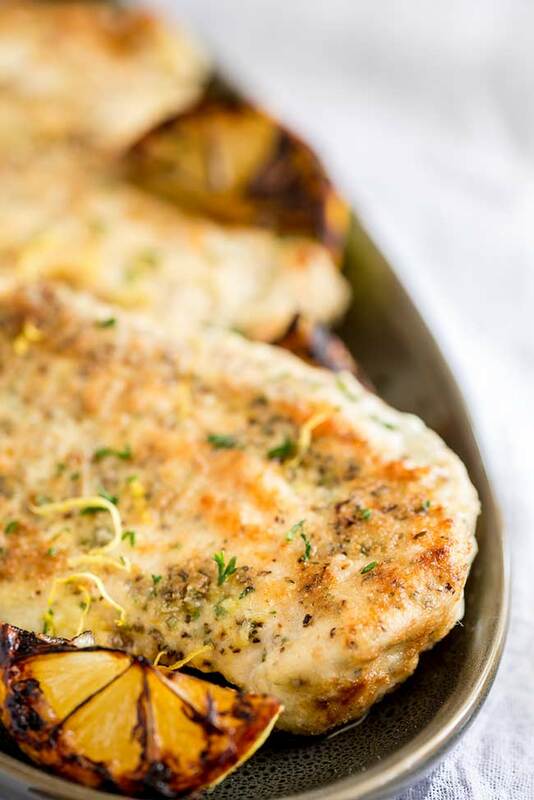 Remove the chicken from the pan and garnish with extra lemon zest and fresh parsley. The sugar is optional, I like to add it as it makes the seasoning taste more like the grocery store brands (which pleases the kids) but feel free to leave it out. 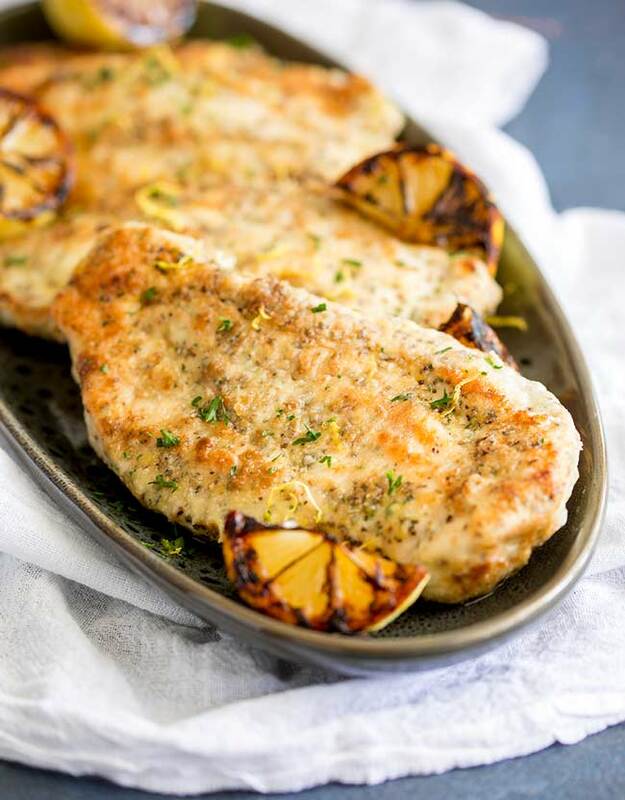 If you love food why not subscribe to my newsletter, I will drop you an email every now and then, just to say hi and send you a couple of recipes I think you might love, like these Easy Crispy Lemon Pepper Chicken Breasts. Love the citrus and chicken combo! Always a classic! 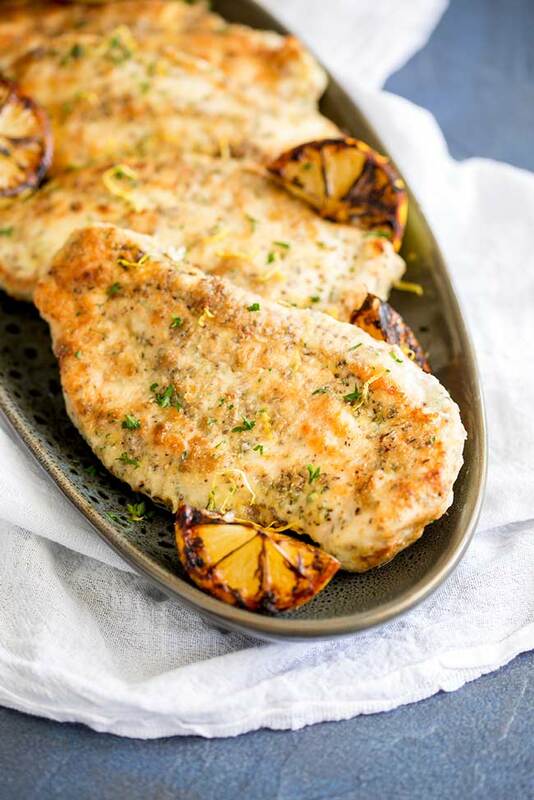 Lemon pepper chicken is such a classic isn’t it! Thank you Suzy. I hope you enjoy it. I am cooking your Za’atar Chicken this weekend.